For over 20 years, RVC Medical has been providing patients in Issaquah and surrounding communities with top-notch aesthetics and medical services. RVC Medical offers popular Fillers and Wrinkle Reduction treatments like Botox®, Juvederm® and Radiesse® that smooth the skin and improve the effects of wrinkles and fold lines. When diet and exercise are not enough, breakthrough non-invasive Body Sculpting treatments like SculpSure and VASER Shape can help you get the body of your dreams! 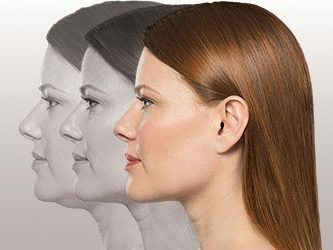 Kybella is the latest FDA approved treatment for the reduction of hard to burn chin fat and double chin. Treatment is quick and results are noticeable within weeks. Now you can have those amazing eyelashes that you’ve always wanted! Latisse is the only FDA-approved prescription treatment for thinning eyelashes, and makes your eyelashes longer, darker, and fuller. RVC Medical carries scientific Skin Care products by SENTÉ that promote smooth, healthy skin. PRP Hair Restoration is a breakthrough hair growth treatment for men and women that uses blood platelets and proteins to regrow hair. Microneedling is a popular non-invasive skin resurfacing technique. PRP, short for platelet-rich plasma, is a treatment that utilizes the patient’s own blood to rejuvenate the skin and stimulate collagen production. Our blood contains platelets – small particles of blood cells produced by bone marrow – that are used to help heal wounds and stem excessive bleeding. By taking blood from the body and spinning it in a centrifuge, we separate the fluid into its various components, extract platelet-rich plasma (PRP) and use this to stimulate the follicles of the scalp. These healing capabilities could be replicated with our hair using PRP. The PRP will increase the supply of blood and nutrients to the follicles, which will in turn stimulate the scalp and result in an increase in hair growth. Suitable for male pattern baldness, thinning hair and female hair loss. It can also be used to thicken existing hair and encourage the growth of new hair. ​You should start to see improvement to the treated area within three months of the treatment and you will also notice a reduction in the amount of hair being shed. During the following six months the hair will start to look and feel thicker. Call RVC Medical today to schedule your free consultation to see if PRP Hair Restoration is right for you! Bye-Bye Double Chin: Two Breakthrough Non-surgical Treatments That Will Amaze! Kick Your Diet into Overdrive with SculpSure®! *Individual results vary, and no prediction of outcome is implied. Individual healing characteristics and unexpected complications can affect the outcome of any procedure. The information contained on this website is not intended to treat, diagnose, or prevent any medical or health condition, and should not be considered as a substitute to consultation by a certified physician. Leave your Email before you go! You will also get first notice of giveaways, sales, and upcoming events hosted by RVC Medical.